It’s estimated that eight out of 10 people suffer from back pain at some point in their lives. A recent study on the prevalence of musculoskeletal disorders in the U.S. estimated that 40 million Americans aged 20-64 will experience “frequent” low back pain (LBP), with 15% suffering from LBP lasting up to two weeks at a time! There’s no clear-cut way to resolve back pain, but chiropractic offers the most promise. Witness the results of a recent study comparing one-month outcomes for 93 chiropractic patients and 45 medical patients with chronic, recurrent LBP. Chiropractic care included spinal manipulation and various forms of physiotherapy, averaging four patient visits. Medical care averaged one visit and frequently included the prescription of anti-inflammatory drugs. Patients treated by chiropractors showed better overall improvement and satisfaction after one month than patients treated by family physicians. Chiropractic patients showed substantial decreases in pain severity, functional disability, and pain quality, while medical patients showed only minimal improvements with regard to the first two measures, and deterioration in the third. Nyiendo J, Haas M, Goodwin P. Patient characteristics, practice activities, and one-month outcomes for chronic, recurrent low-back pain treated by chiropractors and family medical physicians: a practice-based feasibility study. Journal of Manipulative and Physiological Therapeutics, May 2000: Vol. 23, No. 4, pp239-45. Obesity and Cancer: Only a Matter of Time? An estimated 36 percent of women are now considered obese. The importance of this statistic has nothing to do with image, beauty or perception, none of which should be influenced by a woman’s weight; it’s concerning from a pure health perspective, because obesity has been associated with numerous negative health consequences including diabetes, cardiovascular disease and yes, even cancer. 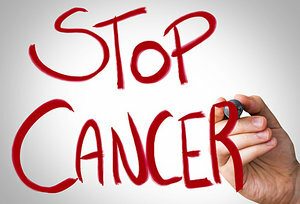 Considering breast cancer is the most common cancer in women worldwide and endometrial cancer is the fourth most common cancer in U.S. women, understanding the risk factors – and then doing something to mitigate them – is a key step in reducing the cancer burden and, quite frankly, saving more lives. For the more than one in three women classified as obese, achieving a healthier weight could be the first – and most important – step. Talk to your doctor for more information on the dangers of obesity and to develop a strategy to lose weight, improve your health and reduce your cancer risk. If you’re thinking cold season is still far off, you’ve made your first mistake. Cold season officially begins in August or early September, according to statistics, getting progressively worse and lasting all the way until late March or early April. That means you and your family are at risk today and every day for quite a few months. And keep in mind that with kids back in school at all ages, your chances of catching a cold from someone else who’s got one also increase dramatically. Fortunately, there’s a natural way to shorten the duration of your misery if you do happen to develop a cold: zinc lozenges. 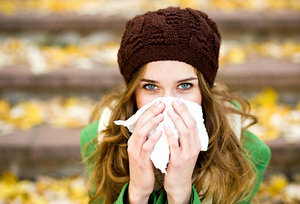 While previous studies have suggested this association, a recent review goes a step further, connecting the use of lozenges containing zinc acetate (75 mg or more) with a reduction in the number of days (from seven to four) experiencing cold symptoms – even in people without allergies. In fact, zinc lozenges proved effective regardless of cold severity as well. So, you’ve got options when you develop a cold: rush to the medicine cabinet / pharmacy and load yourself up with a decongestant, cough suppressant and various other medications – all of which have potential side effects and generally only suppress symptoms; or take some zinc lozenges and get plenty of fluids and rest. We know which option we’d choose; how about you? Note: Citric acid inhibits zinc absorption, so look for a lozenge without citric acid to maximize absorption and get the most zinc bang for your buck! Talk to your doctor for more information about this and other natural ways to treat the common cold without resorting to medication.